Home Steiff Classic STEIFF Classic White 17"
17"/42cm, Wavy white mohair with white wool felt paw pads, hand stitched brown floss nose and mouth, brown pupil eyes, fully jointed. Surface washable. 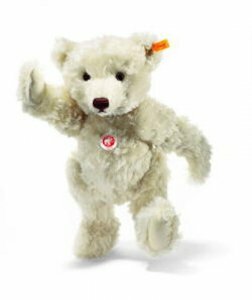 Notify me of updates to STEIFF Classic White 17"